Our product range includes a wide range of esd / antistatic fabrics, esd / anti-static garments, antistatic fabrics and mono filament fabrics. We manufacture ESD or Antistatic fabrics for Garment wear used in Hospitals and Process Industries. We manufacturer as per customer's requirement in lining and or Grid pattern. It will be manufactuer in all colours. We manufacture the ESD fabrics to meet EN standard. Commomly used fabric is 2% carbon with 98% polyeter. We can supply ESD fabrics with Oil/Water Repellancy , Anti Microbial , Stainfree etc. as per requirements for bulk supply. Standard White sky blue colour may be ready in stock. Other any can be manufacture as per requirement on demand for bulk order. 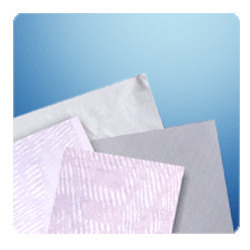 We can manufacture the ESD fabrics as per your customised requirements. We are counted as one of the top organizations involved in offering an exclusive range of Antistatic Fabrics. The provided fabrics are widely used to protect the electronics and electrical appliances from the fires and explosions. They find its application in thermal processes such as gas power plants, iron melting shops and glass making units. 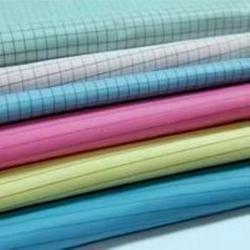 These fabrics are highly acclaimed in the market owing to features like durability and high quality. They are available with us in a number of sizes at an affordable price. 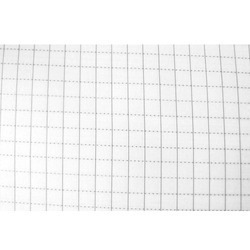 We manufacture Monofilaments fabrics in PP, Polyester, and Nylon etc. for filtration application. Also we offer Mono - Multi filament fabric. This fabrics widely used in Filter presses, Belt filters, Vacuum drum filters, Rotary drum filters.